Originally from Salmon Arm, British Columbia, Dr. Hurlbert returned to BC after graduating from the University of Waterloo, School of Optometry, in 1995. 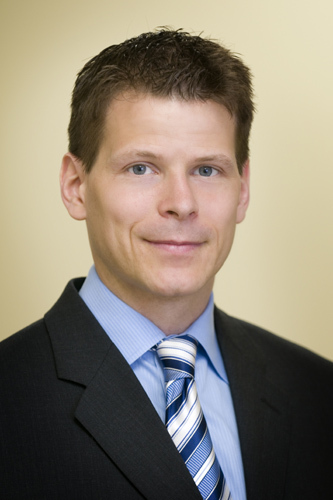 In 1997 he joined Maple Ridge Eye Care - Optometrists and assumed ownership of the practice shortly thereafter. Dr. Hurlbert attended the Omni Eye Center in Atlanta in 1994 where he worked alongside cataract, glaucoma and retinal surgeons in the treatment of advanced eye disease. Subsequent to this he was certified by the American Board of Examiners in the treatment and management of ocular disease. In the fall of 2008 he participated in the Indicator of Current Learning in Optometry exam, which is administered by the Canadian Examiners in Optometry to help optometrists continue to enhance their clinical knowledge. Dr. Hurlbert enjoys living and volunteering in the community. He was previously elected to the board of the College of Optometrists of BC in October, 2007, serving for close to four years, as well as was elected to the Board of the British Columbia Doctors of Optometry, where he also served for over 3 years. Soccer is a passion of his and he has played in the Fraser Valley Soccer League for seventeen years. Make an appointment with your eye doctor, Dr. Hurlbert. Dr. Hurlbert is accepting new patients. Dr. Gary Matter received his Bachelor of Science from the University of Waterloo in 2007 with emphasis in human physiology. He later returned to school to pursue his passion for eye care. In 2012 he graduated from the renowned New England College of Optometry amongst the flourishing medical community in Boston, Massachusetts. He has the distinction of being a member of the Optometric Honour Society during all four years of schooling in Boston. He completed a specialty contact lens rotation in the treatment of keratoconus, post surgical complications, and many more corneal conditions utilizing scleral lenses and other forms of custom contact lenses. Originally from Ontario, Dr. Matter appreciates the people, the outdoors and everything British Columbia has to offer so much, he relocated to Pitt Meadows, joining Maple Ridge Eye Care - Optometrists in August of 2012. 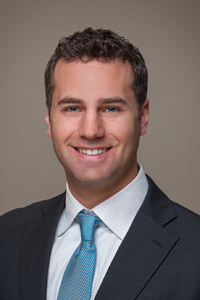 He became a partner in the practice in September of 2015. Since then, he has enjoyed establishing himself in the local community and providing quality eye care in the Ridge Meadows area. Make an appointment with your eye doctor, Dr. Matter. Dr. Matter is accepting new patients. Dr. Angela Lee is from Windsor, Ontario and graduated from the University of Waterloo’s Doctor of Optometry Program in 1995. She practiced Optometry in Ontario for seven years before making BC her new home. She has been active in professional mentoring programs, writing articles and speaking to different community groups on eye-related health issues. She has participated in many local community events such as childhood screening programs and nursing home visits, and has appeared on Breakfast TV as a guest speaker on the importance of UV protection for the eyes. 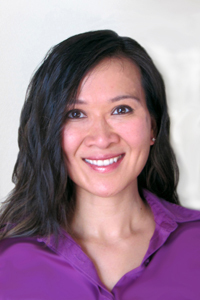 Dr. Lee is an adamant proponent in preventative health and practices this too in her personal life by living a healthy and active west coast lifestyle. Make an appointment with your eye doctor, Dr. Lee. Dr. Lee is accepting new patients. 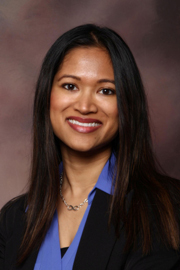 Dr. Priya Rughani graduated from the University of Waterloo’s Doctor of Optometry Program in 2004. She had been practicing optometry for eleven years in Ontario before relocating to BC recently with her husband and three children. During her externship at Waterloo, Dr. Rughani worked alongside several ophthalmologists specialized in glaucoma, cataract, retina and oculoplastics. She has also worked at a Lasik centre where her primary roles were to evaluate and approve Lasik/PRK patients, as well as to manage their post-operative care. In addition, she has volunteered on eye care missions to Jamaica and Mexico, and hopes to do so again in the future to help underprivileged people in need of eye care. Dr. Rughani’s optometric interests include contact lenses and treating/managing ocular disease. She is also a firm believer in preventing ocular disease by way of healthy diet and lifestyle, and is currently a member of the Ocular Nutrition Society. Dr. Rughani loves her life on the West Coast and is happy to be part of the Maple Ridge Eye Care team. In her spare time she enjoys traveling, biking, Zumba, piano, photography – and of course just being outdoors in this beautiful province. Make an appointment with your eye doctor, Dr. Rughani. Dr. Rughani is accepting new patients. 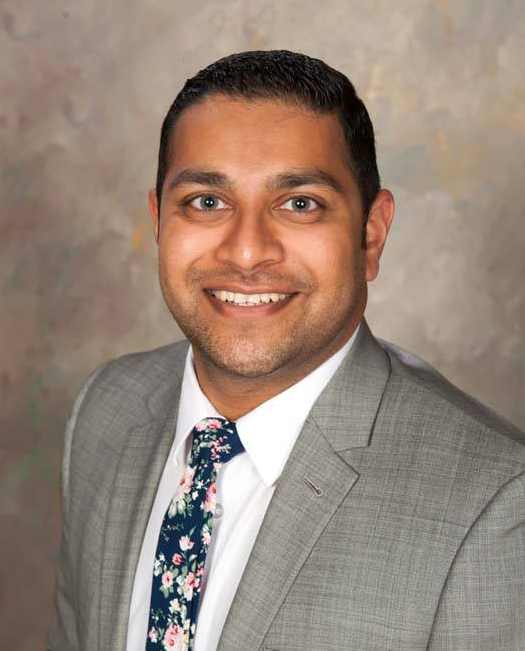 Originally from Delta, Dr. Naidu graduated with honors from the Illinois College of Optometry in 2018. He has returned home to beautiful British Columbia where he is ready to serve the eye care needs of the patients of Maple Ridge and Pitt Meadows. As an extern at the University of Kentucky in Lexington, Dr. Naidu triaged urgent care cases, co-managing patients with ophthalmologists of all sub-specialties. This externship also allowed him to fit a wide variety of specialty contact lenses including scleral lenses, RGP lenses and orthokeratology lenses. During his time as an extern at the Illinois Eye Institute in Chicago, Dr. Naidu treated and managed patients at the Chicago Public School System with conditions such as amblyopia, strabismus and binocular vision disorders. These two externships related to two areas of interest for him: specialty contact lenses and ocular disease. Dr. Naidu has been an active volunteer over the years, serving for a year as the elected president of the Gold Key International Optometric Honor Society. He also mentored for the Vancouver Boys and Girls Club for two years, where he launched a new program designed to tutor/mentor foreign students within the community. Outside the office, you will find Dr. Naidu enjoying hiking, traveling and spending time with friends and family. He looks forward to providing vision care for the local Maple Ridge community and welcomes new patients without a referral. Make an appointment with your eye doctor, Dr. Naidu. Dr. Naidu is accepting new patients.